Hamilton “Robert” model wrist watch. 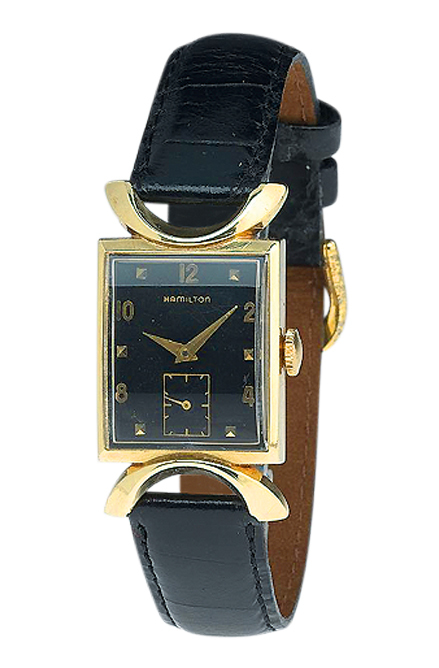 Done in a 14K yellow gold case, this watch features fancy stirrup lugs and a black dial with seconds dial. It houses a 19 jewel movement, grade 754.